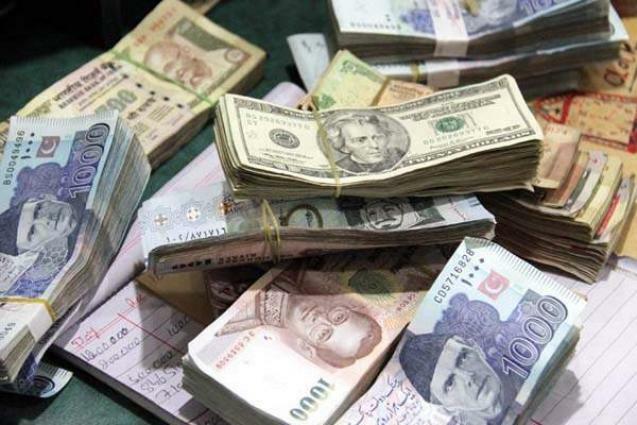 Todays Currency Exchange Rates in Pakistan, Current Dollar rate in Pakistan, Latest change rates of British Pound, Euro, Saudi Riyal, UAE Dirham, Canadian Dollar, Australian Dollar in Pakistan Rupees. All updated rates on 17 April 2019 according to the open market currency rates. Today's currency rate in Pakistan according to international currencies as of 17th April 2019. Find the latest prices of USD to PKR, EUR to PKR, GBP to PKR, AUD to PKR at this page. These prices are provided by open market currency exchange dealers, and are updated four times every day to keep them fresh and relevant for users. The rates are provided by local Forex Market and Local exchanges of Karachi, Lahore, Rawalpindi, Peshawar, Quetta, Faisalabad, Multan, Gujranwala, Sialkot and Islamabad. Currency rates are updated on this page twice a day, if you need more updated currency rates in Pakistan than visit the our business section.